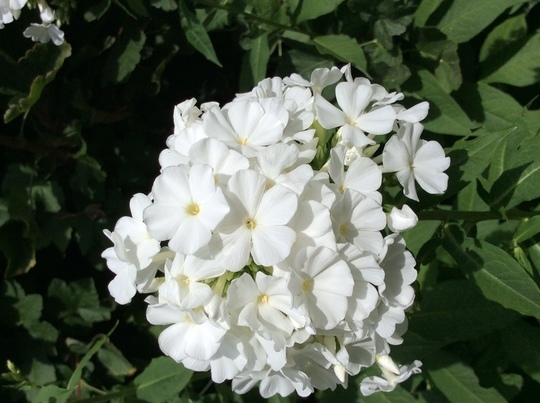 I love white Phlox Amsterdam! I'm not surprised! I received two lots of a free mixed pack of phlox roots in the spring, from JParkers I think...with my Lily bulbs. So thinking I would sell them on at my open days, I potted them up. 6 of them turned out to be white, so I've planted them. The rest are the same boring pale pink colour. If they don't go away with visitors they will go in the bin. I find that the white ones spread very easily. I have dug up several of them up only to grow back from a tiny root left in the ground! They are great to have at back of a large border I find.